This week’s deal sees the introduction of Paul Mitchell to the weekly deal promotion, with its popular Heat Seal. 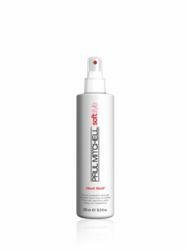 Paul Mitchell Heat Seal builds body, provides light hold and enhances shine, also guards strands from damage caused by heat styling. Its clean, flexible styling agents and essential fatty acids add shine and memory. It is also humidity resistance that ensures longer-lasting style for curly or straight hair.